Purse parties are hot right now. As a Thirty-One Gifts Consultant, you can sell quality, trendy accessories to make a living. In addition to purses, Thirty-One offers a great selection of organizational products which have become some of Thirty-One’s most popular products! Compensation: Consultants earn a 25% commission beginning with their very first sale. Overrides are paid if you choose to build a team. Commission is paid twice monthly on the 10th and 25th of each month. Commission is paid on retail. Start-Up Costs: $99. The enrollment kit contains over $300 in products and business supplies. Inventory Requirements: None. The company does not encourage keeping inventory. Company Website: Consultants’ first three months are free, then they pay only $9.95 per month thereafter. An automated newsletter is also available for an additional $3 per month. Both the website and the newsletter are optional and can be canceled at any time. Quotas to Maintain Active Status: $200 retail every three consecutive months. Bonus Opportunities: Beginning at the Director level, unlimited bonuses of $1,000, $3,000, $5,000 and $7,500 can be earned. Hostess Rewards: Thirty-One offers a generous hostess rewards program, paid for by the company. They also offer hostess exclusive products and free booking bonuses. Thirty-One is a faith-based company, its name being derived from Proverbs 31 and the verses about the virtuous woman. Our mission is to celebrate, encourage and reward. Thirty-One provides phenomenal training and support. All consultants are provided with a consultant-only website which gives them 24/7 access to training documents, videos, and recorded training calls, as well as downloadable documents, fliers and other tools to run a successful business. I have been with Thirty one about 6 months now! It is a great company to work for, and there are many benefits to consultants above and beyond the 25% commission. They have excellent training- and their motto is “celebrate, encourage, reward”- which they try to do for both hostesses and consultants. Selling is easy- with such cute products. Bonuses include: trips, electronics gift cards, product add-on kits, and director (and above) team overrides. I have only been with Thirty-One since December but so far I love it and have enjoyed it more than I did with Pampered Chef, Arbonne, or Avon. 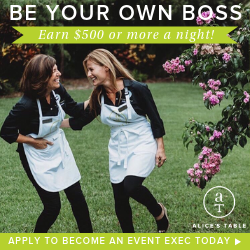 I was so alone with Avon, Arbonne was too expensive for customers, with Pampered Chef it seemed that everyone, and I mean everyone, either sold or had a family member or best friend that was already their consultant. I have an amazing director, who is not even in my state, and I’m excited to start adding people to my own team here in Oklahoma and beyond so that I can help other women, particularly stay-at-home-moms like me, earn some extra money to either help out with their household expenses, vacations, school costs, or even Mommy “Mad” Money! Not to mention the chance to connect with others through parties and company events.